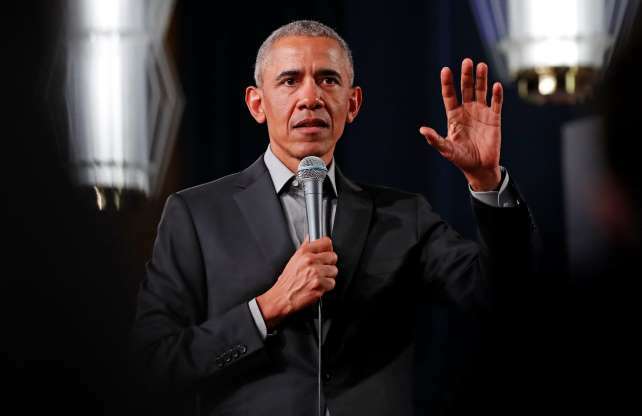 "Many of these people can’t vote, they are too young to vote yet, but they know what’s going on," Obama said during a meeting with youths in Berlin. "You wouldn't let your grandparents decide what music you listen to, or what clothes you wear. Why let them decide what world you will live in," he said. "Things change when we strongly mobilise," he said. "Our planet on which we live is in danger. We can’t succeed by sitting back and waiting for someone else to do it". He signed the Paris climate accord in 2015 which calls for capping global warming at "well below" two degrees Celsius (3.6 degrees Fahrenheit) but the planet is currently on track to heat up by double that figure.